Q. How do I find online resources? 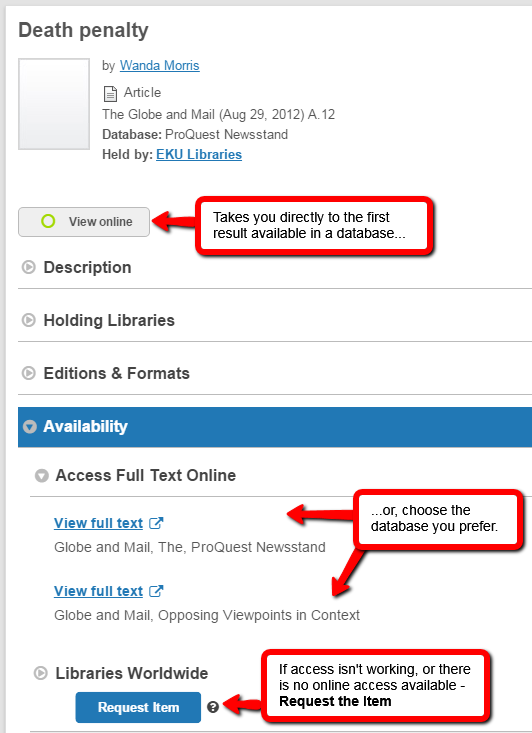 Use the Library Search Box- to discover a vast array of content. Your search results will include books and other print materials from libraries worldwide, as well as all of the online content to which EKU Libraries subscribes. When you find what you want, click on the View Online or Access Full Text Online links. If full text access is not available, you can click Request Item and Library Express will either buy it or borrow it from another library for you. For more in-depth information, view our tutorials or schedule a reference appointment.